Childcare Expo Manchester 2018 hosted a range of childcare and nursery suppliers who offered a vast variety of products and services for all early years professionals. Abacus Day Nursery Sales is a successful business transfer agent specialising in selling day nurseries with nationwide coverage offering exceptional levels of client service in the childcare sector. Abacus has a growing reputation and a proven track record for selling day nurseries over many years. Bloomsbury Education publishes books, apps and digital resources (bloomsburyearlyyears.com) to inspire teaching, learning and young minds. Featuring titles by best-selling authors such as Sally Featherstone and Alistair Bryce-Clegg, Bloomsbury Education provides fantastic ideas, practical help and tried and tested approaches for every Early Years practitioner. Childcare Choices makes it easier for parents to decide what government childcare support is best for them. This includes Tax-Free Childcare, giving working parents up to £2000 per child per year to help with childcare costs. There’s more information for childcare providers and parents on Childcare Choices. Complete education solutions offers a range of diverse educational platforms to increase learning experiences of children, improve management and leadership for your school or business and sup-port education and the education sector. Our flagship platforms are iPEP, the UK’s leading physical education planner, tracker and assessment tracker and iPAL, our bespoke booking, payments and management system. Never be stuck for inspiration! Perfect for childminders & early years professionals with dozens of fun crafts & activity ideas, all designed to support the EYFS, KS1 & KS2. The Early Years Alliance is the largest, most representative early years membership organisation in England, providing high quality childcare and education to support children and families in areas of deprivation. As an educational charity, we represent the interests of over 14,000 settings delivering care and learning to over 800,000 families. Established in 1992, Early Years Resources is a reputable supplier of innovative and cutting edge educational resources and equipment to primary schools, nurseries and childcare settings throughout the United Kingdom. We have over 8000 innovative products designed to enhance and support the delivery of the EYFS, KS1 and KS2 curriculum. Eduzone Ltd are suppliers of early years educational resources, furniture and equipment for nurseries, schools, children’s centres, pre-schools and childminders. 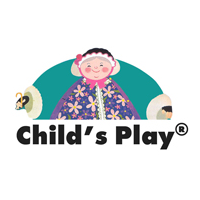 All our products have been carefully chosen with quality, safety and children’s development in mind. ELCONS Employment Law Consultants Ltd.
ELCONS offers personalised and specialist HR and Health & Safety consultancy services to its clients. Our highly qualified, experienced HR and legal experts strive to build strong working relationships with you and we achieve this by gaining a sound understanding of your business and its core values. We have studied the research, listened to the experts and developed fun, interactive activities that support both body and brain development. 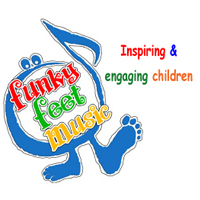 Linked to EYFS our award – winning collection of toe tapping, feet jumping, dough squeezing, parachute waving music provides a fun educational experience. The Genee range of interactive solutions incorporate both software and hardware. Our key products include Interactive Touchscreens, Visitor Management Systems, Interactive Touchtables, Visualisers and Audience Response Systems. Our products work together to create a Complete Interactive AV Solution providing the user with everything they need to engage with their class or audience, working to create a fully collaborative environment. HJR Tax assist day nursery and pre-school owners identify unclaimed capital allowances in their business property and receive a tax rebate from HMRC. We work on a paid-by-results basis and have a 100% success rate to date. Using our knowledge and technical experience, we make claiming capital allowances simple, hassle free and cost effective. 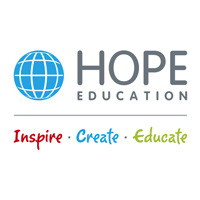 Hope Education is the home of inspirational and best value resources for nurseries and schools. We share a passion for education and are here to support practitioners by giving little ones the best educational journey. Visit us on stand E20 to find out how you can save time and money with Hope. JTM have been a CACHE accredited centre for over 20 years as well as being an accredited centre for City & Guilds, ILM, Pearson Edexcel and NCFE delivering Apprenticeships, Traineeships, standalone qualifications and bespoke training for the Childcare sector as a prime ESFA training provider. Kidslingo is an award-winning, Children’s Activities Association gold-accredited business delivering fun French & Spanish classes to over 12,000 young children per week in nurseries, primary schools, care homes & venues across the UK. The classes are a fun combination of songs, games, stories, drama & Makaton. Little Handprints Books is part of Usborne Books at Home, one of the leading children’s book publishers in the UK. We offer a wide range of books and the opportunity to claim up to 60% worth of free books for your School or Nursery through our literacy initiatives. We provide a two-week comprehensive programme providing all you need to hatch chicks in schools, nurseries & care homes. Everything required to hatch and look after your chicks is provided with a mountain of excellent resources and expert advice. .Midshire is an industry award winning supplier of office technology and is committed to bringing businesses throughout the UK quality, innovation and the latest in data security. Millwood Education is a long established educational resources supplier operating successfully for over 10 years, supplying primary schools and nurseries throughout the UK with resources to fit any ethos. Our unique and often exclusive products combine to provide a number of ranges, and are developed to support different learning approaches. Nexus guarantees high quality and value for money throughout our product range. We design and develop unique products in partnership with leading UK educational consultants. This then enables us to aid schools and alike, to deliver the highest possible educational standards, to ALL children regardless of their individual ability. Parenta provides software management solutions that reduce admin time significantly and is the UK’s largest vocational training provider within the early years sector, offering apprenticeships at all levels. It trains nearly 3000 nursery staff a year with the support and knowledge of its in-house skilled team of tutors. We provide a range of creative mark making ideas, sensory toys and puppets for early years. 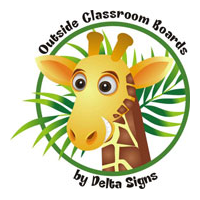 Our high quality products are perfect for nurseries, primary schools and childminders. Come to our stand to have a play and see how wonderful our products are. 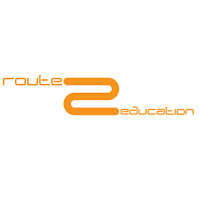 Route2 Education, at the heart of early years for 8 years, providing innovative, simple, engaging and nursery focused touchscreen tables, packed with relevant activities. Always putting to good use appropriate advances in technology, Route2’s new Tilt&Touch Evolution table greatly widens the product’s uses while maintaining safeguarding and its characteristic robustness. At Talking Turtle our main goal is to bring excitement, play and interest into the lives of children. Not only do we supply the everyday stuff, but we bring new & exciting products for every child to enjoy. Please visit our website to peruse our products before you come to meet us! The Yum Yum Food Company, established in 2003, is a specialised meal delivery service for nurseries and school. 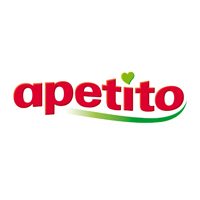 Our menu focuses on high quality nutritious and delicious meals, catering for a wide range of tastes and cultures whilst providing value for money. We take the stress out of meal times providing an excellent delivery service to your door step. 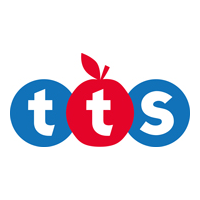 TTS, home to innovative educational resources, are celebrating 30 years supplying early year’s settings, childminders and schools. Our products are researched and sourced based on ideas and suggestions from advisers, teachers, practitioners and many others, whose number one priority is the same as our own – children. The result is exceptional, innovative resources that will meet your needs. Woodworking using real tools in an early years settings, how can it be implemented safely? T4Kids™ have developed a ‘complete solution’ with real tools, training materials, colourful work wear and exciting creative projects. 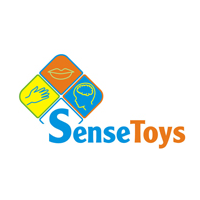 These tried and tested, award-winning products offer settings, the ability to introduce these fun and practical, hands-on activities. Doncaster University Centre offers a range of on-line programmes for Early Years practitioners to facilitate progression from level 3. The Foundation Degree and the Top Up to level 6 supports those who wish to develop their skills and knowledge. There is also opportunities to continue study at Masters level. YPO offers a fantastic selection of early years resources, with over 3,000 products to choose from. From outdoor equipment to messy play to sensory exploration, our range is designed to help children explore and learn. With over 40 years’ experience, we offer competitive pricing to help you save time and money.